A weekend walk through the marina on the bay and we come across this sculpture - no identification, no attribution. Very strange. At first I thought Neptune, you know, marina, Neptune, god of the seas? But no. Can you guess who it is? 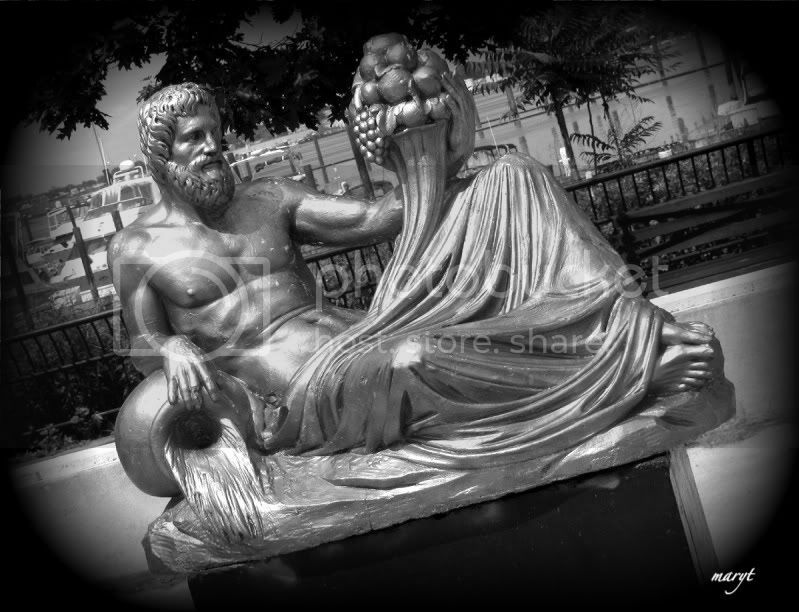 It's Dionysus, the god of wine, the inspirer of ritual madness and ecstasy. Go over to Monochrome Weekly Theme to visit other participants. Some might wish wine really flowed from his amphora.